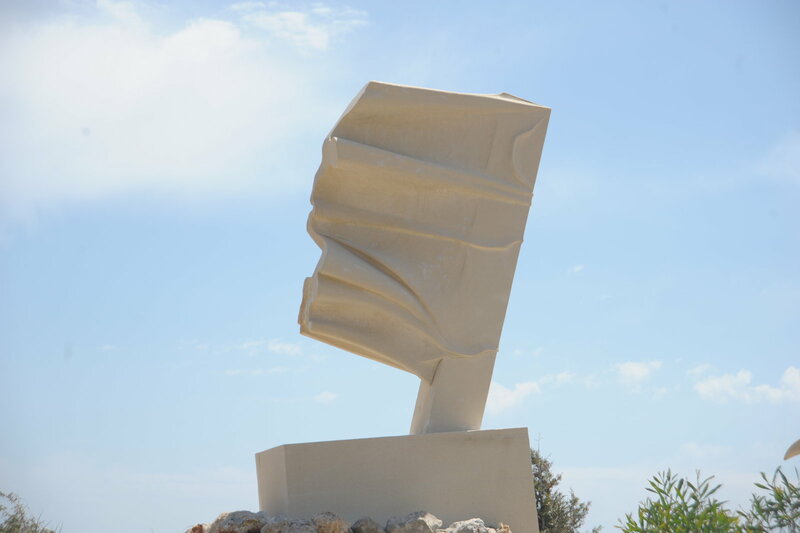 Concept :"My works are sculptures made out of the local stone from the area in which I live, The Western Galilee, Israel. In these particular works I am exploring the exterior verses the interior of an object. And how can an imaginative power or movement have an effect on the inner space of the sculpture. I am trying to portray the stone as a soft material, one that can be stretched, pushed or squashed in relation to its exterior surface. With confronting these contradictions between in and out, softness and hardness, I am reflecting on the human existential conditions and the relation between concealment and exposure".